Halifax V LK648 crashed/ditched in the North Sea 28/9-1943. The aircarft belonged to RCAF (RAF) 434 Sqn and was coded IP-F. The aircraft is believed to have ditched in the North Sea. On 9/10 fishing vessel E 425 “Christian Muff” of Esbjerg with Skipper Christen Enevoldsen was fishing 7 miles East North East of Slugen Nord when Enevoldsen spotted a dinghy. Onboard was found two English flyers that Enevoldsen assessed to have died only recently. The airmen and the dinghy were taken onboard “Christian Muff” and the course was set for Esbjerg. Upon arrival the German Vorpostboot the Germans demanded do have the airmen and the dinghy handed over. After having done that Enevoldsen continued to Esbjerg. 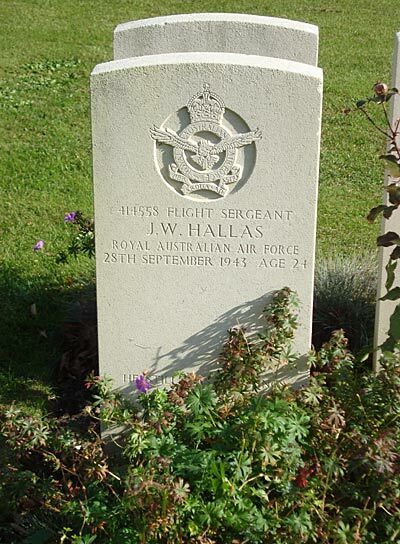 The two airmen were Co-Pilot F/Sgt John W. Hallas RAAF and Air Gnr. F/Sgt Robert N. Wallace. They were laid to rest in Fovrfelt cemetery in Esbjerg on 12/10 1943. 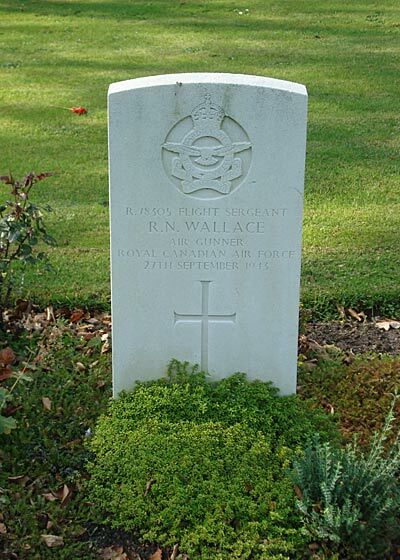 Bombardier P/O David J. Sinclair rest in Farsund cemetery in Norway. Pilot F/L Frederick C. Lord, Flt. Engr. Sgt Stanley A. Walter RAF, Navigator F/O Benjamin S. Jones, W/Op Sgt Basil M. O’Hara and Air Gnr. Jean G. de Sieyes have no known graves and are commemorated on the Runnymede Memorial. Sources: BCL, BE, UA, AS 64-906, CWGC.